I am stunned by the quality of Mark's work. The images of Jennifer & Matt are fantastic. I would LOVE to work with you again through Historic Events our planning firm or through INTRIGUE our décor company. I haven't seen such beautiful wedding pictures in many a year, Mark you have mad skills. I especially like the way you made every effort to get just the right shot. It was a pleasure working with a photographer of your caliber. Mark is such a wonderful photographer. He is very talented and creative. He put his heart and soul in his work. We had such an amazing experience with him. He took so many pictures of us and we loved every single one of them. He was so easy to work with. He captured all the details that we were expecting to see in our special moments. We could not ask for more. We are so happy with the result and we highly recommend him! Your work is both masterful and inspiring. I truly hope there will be an opportunity to work together some day. The pictures are amazing! I can't believe how great they look. Again, thank you both so much for your great work on our wedding day. I recently attended my best friend's wedding in St. Michael's at the Inn at Perry Cabin (Jen & Matt Albanese) and I called her last night to see if any of her pictures were online. WOW! Your photography is absolutely stunning. I live in KY, but after seeing your pictures, I want to get married in Maryland! Seriously, I was in awe as I looked at those photos...you are truly talented and I just wanted to let you know that I think your work is amazing. My father was a photographer as well, so I know how passionate one can be about it...it definitely shows in your work. I received the Mark's pictures at my parent's home on Friday. They are wonderful! We absolutely LOVE the pictures. You are an amazing photographer. Especially given how little time we actually spent on pictures, you captured so many great shots. I love the black & white, as well as the different wide angles and perspectives. We have the black & white picture you took of us walking hand-in-hand back to the bus by the Lincoln Memorial in a silver frame in our living room. Everyone has commented on how great our pictures came out! You have my highest recommendation!!! What a Team! Mark and Laurel are superb! Mark took the most beautiful shots of our Wedding at the Inn at Perry Cabin, and our Friends and Family (some of whom are Photographers) are raving! Mark and Laurel took the time to get to know us, in person, prior to our Wedding, and knew exactly how we wanted our Special Day to be captured. In addition, they had some wonderful ideas of their own, which resulted in more beautiful shots! We trusted them, immensely! We can't wait to see all of our Photos, and will continue to use Mark Lovett Photography for all of our Special Events in our Lifetime! Thank you so much for the beautiful photography! The album is such a treasure and your photographs truly capture the excitement of the day: I can’t help but smile every time I look through the pictures! Also, thanks so much for the DVD! We love it, and it was so thoughtful of you to send it! I am really impressed with your talents. The pictures are some of the best wedding pictures that I have seen. I like how the group shots are very natural, yet everyone is standing in the right place, creating perfect angles. Wonderful use of colors. I have never praised a photographer before, but I had never seen work like yours. I enjoyed your guitar performances and oil portraits. Mark did an excellent job with our engagement pictures. Both he and his wife made the time talking the pictures so relaxing and a fun experience. The pictures turned out amazing! It may be cliche, but it's true... A picture is worth a thousand words and the pictures we got back from Mark Lovett Studio scream 'amazing' a thousand times! We had the privilege of having Mark Lovett shoot our engagement photos for our save-the-date cards going out to friends and family, and we couldn't be happier! 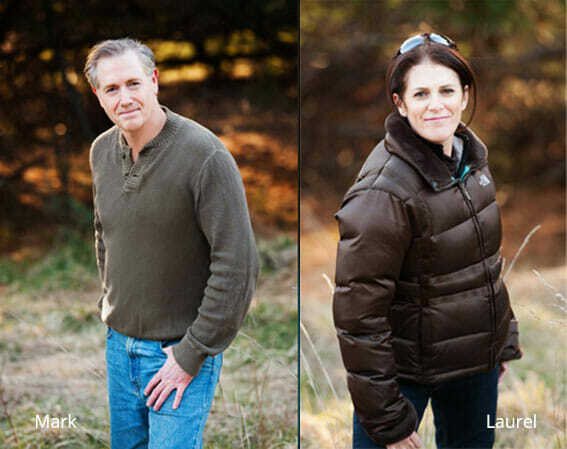 We can't wait until the next opportunity to work with Mark Lovett Studio, and would recommend them without hesitation to anyone considering a photo session or oil painting!